Egypt's Coptic Orthodox Church announced on Sunday that authorities would carry out an official investigation into the death of Bishop Epiphanius, the head of Abu Maqar monastery. In a statement issued about the death of Bishop Epiphanius, the Coptic Orthodox Church said that he passed away at the monastery on Sunday morning in "strange circumstances." "The Coptic Orthodox Church is awaiting the results of the official investigations" said the church in its statement, adding that it would later announce the preparation of the late bishop's funeral. 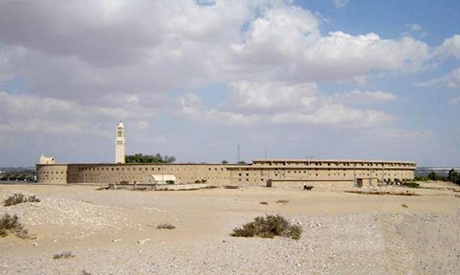 Father Basil, another of the monks at the monastery, told Ahram Arabic website on Sunday morning that Bishop Epiphanius was found in a pool of blood in his room, and that from fractures to his skull he seemed to have been struck with a sharp instrument. Egypt's prosecution began an official investigation into the late bishop's death on Sunday.